In a nutshell, IOTA scales correspondingly to the number of transactions. Each transaction needs the sender to get past two transactions verified on the Tangle. So, the more users send the transactions, the more they get confirmed. For verifying transactions, a device runs low difficulty ‘PoW,’ which is nothing else but a series of mathematical problems. Transaction time on Tangle works inversely proportional to the number of transactions. The more the transactions, the less time it takes to confirm each transaction. As Tangle eliminates the need of miners, newly created units of transaction fees and digital currency need not be extracted from the system to pay confirmation fees. Eventually, it makes transactions on IOTA zero fees. The total numbers of IOTA that’ll ever come into existence were already created in the genesis block. The total of IOTA’s will neither increase nor decrease. The total digital currency supply of IOTA is 2,779,530, 283. IOTA for IoT; will it win? The ICO of IOTA and was so large that initially crashed the exchange platform of Bitfinex for almost half a day. 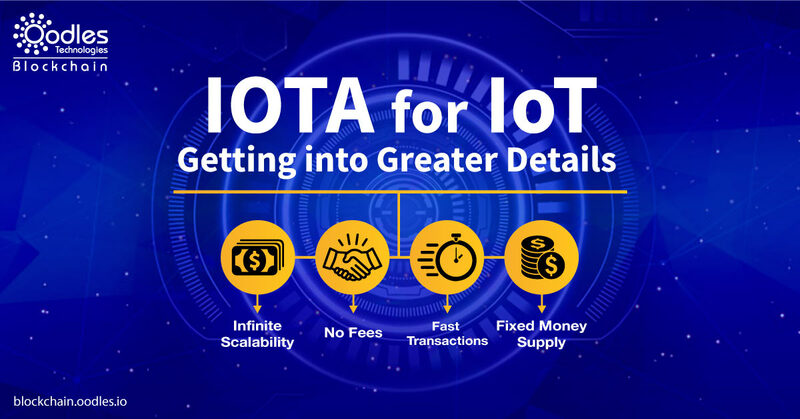 Given to this excellent start, IOTA does contain prominent differentiating characteristics that would help it in the longer-term. Everyone knows bitcoin’s scalability problems and slow transaction confirmation times because of its rapidly grown user base. On the contrary, in IOTA, confirmation would process slowly when the network is small. However, it could even approach zero as the user base expands in size. To put simply, as the transactions in IOTA increases, Tangle’s capacity to handle and confirm transactions get increased. The bottom line is that the internet of things ecosystem would be massive, which could likely change the world as we know it today. If IOTA and MIOTA work well with IOT, there’s no stopping for IOTA.